News: We Are Opening in Manchester Soon! Have you heard the fantastic news? Well you have now – London School of Barbering are proud to announce the opening of our third world class barbering academy in Central Manchester this summer, along with our superb service of free haircuts for men. The decision to open up a third academy up north, is due to Manchester being U.K’s second most culturally, diverse city. Manchester being the home of unique art, music, fashion and two huge footballs teams, meant it was the perfect home for our third academy. Having a new academy based in Manchester will also make it more accessible for people who live up north and want to take our renown barbering education, instead of having to travel to London to attend our school. Our new academy is going to be based at 44 Fountain Street, Manchester, M2 2AX. 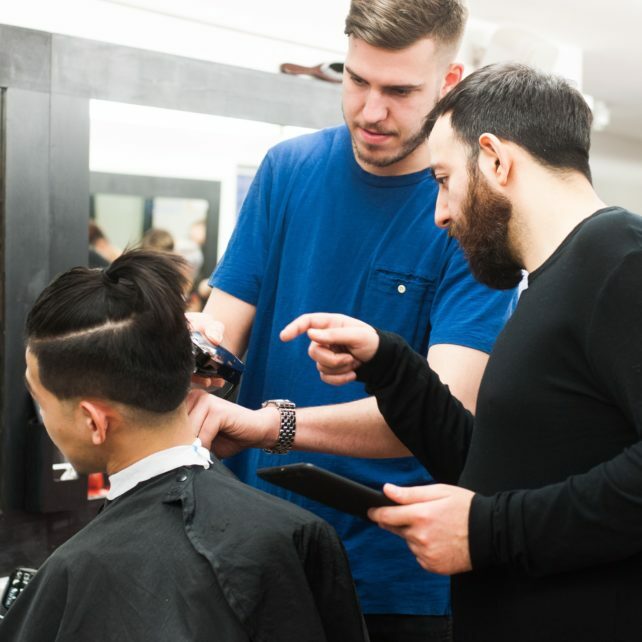 Our most popular courses, including the NVQ 2 Diploma beginner course and NVQ 3 Masters advanced course will be available to take at our brand new London School of Barbering academy in Manchester. 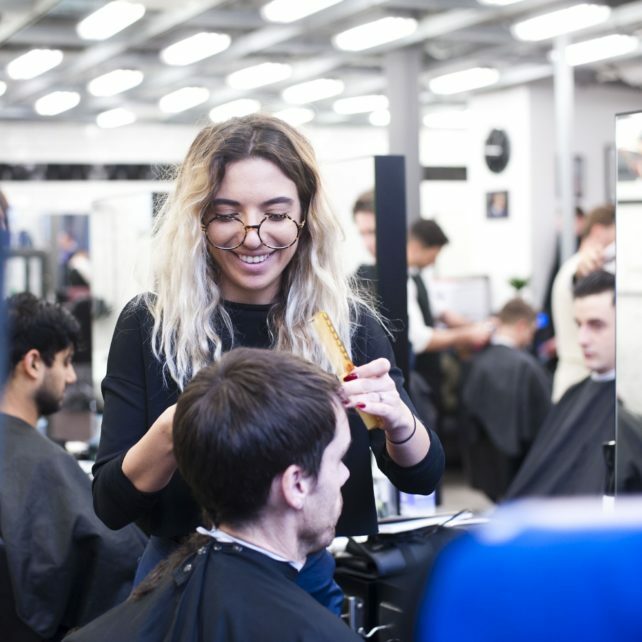 Taking your training at London School of Barbering means that you are getting trained by expert educators, who have invaluable experience, with each honing between five to fifteen years of industry experience. 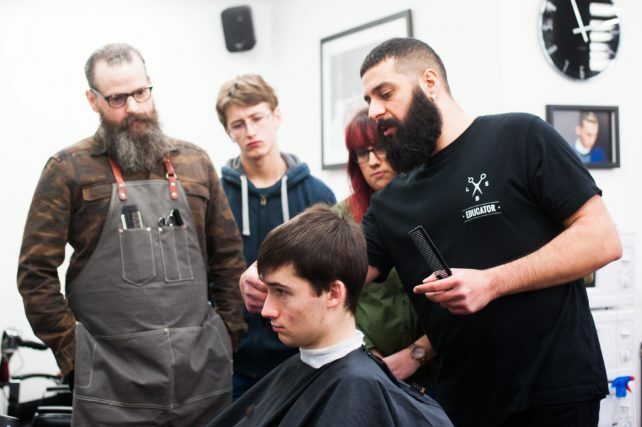 Keep your eyes peeled on our website for course booking dates and free haircut dates for Manchester. Find out what our two Directors had to say about our exciting new launch in Manchester. “Manchester is my favourite city outside London. I grew up listening to bands such as Oasis, The Smiths and The Stone Roses, which helped drive my passion for art and modern culture, so I am so excited to be opening up a third academy in Manchester”. Listen to what some of our past students had to say about our barbering courses here at the U.K’s leading barbering school. We look forward to welcoming all of our new students and clients to our new London School of Barbering, Manchester academy opening soon!